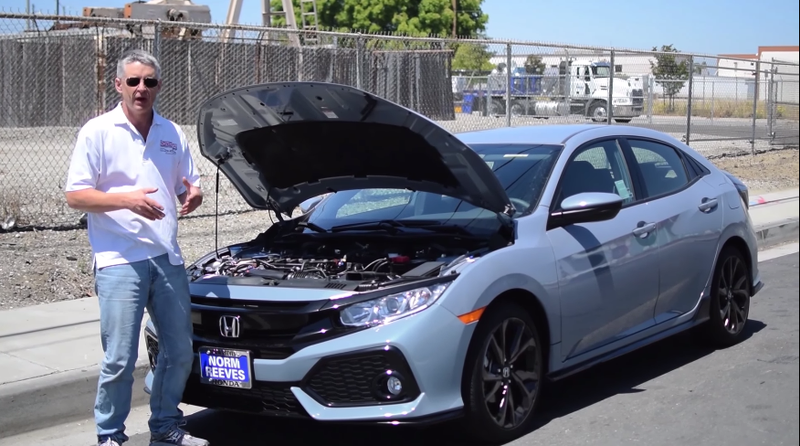 If you were disappointed that the all-new Civic Si makes the same power as the previous generation car, your best bet might be to get the cheaper Civic Turbo and slap on a Hondata tune. Here comes the 214 horsepower and 220 lb-ft of torque you deserve. Back in the day, if you wanted more power out of your Honda Civic you were probably looking at some combination of a cold-air intake, catback exhaust, maybe some headers and let’s not forget a giant VTEC sticker across the windshield. And if you could afford it, a full-on turbo kit. Thankfully, times have changed and in this golden age of cheaply tuning turbo motors, all it takes to unleash more ponies is a few hundred bucks and software tune. The current generation Civic, with the 1.5-liter turbo motor, makes 174 HP and 167 lb-ft of torque. An EX-T sedan with a six-speed manual starts at a very reasonable $22,375. Opt for a coupe and Honda charges you $100 more, while the LX turbo hatchback is the bargain of the bunch at only $20,575. It’s also important to remember that the upcoming Si will only be available in sedan or coupe body styles. For buyers who were a bit bummed out by the Si’s power figures—205 HP and 192 lb-ft—or prefer the value-packed hatchback, for an additional $695, the Hondata ECU flash will crank up the boost and give you 214 HP and 220 lb-ft. Much better. The video below explains how Hondata was able to unleash that extra power by removing the artificial boost lag and allowing no-lift shifts for even better acceleration.